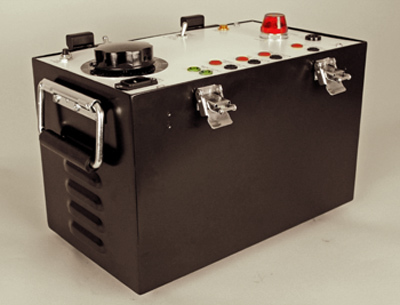 Osborne designed this current transformer excitation tester for durability, safety, and ease of operation. This unit is a technician-friendly device for measuring excitation characteristics and polarity of your current transformers. 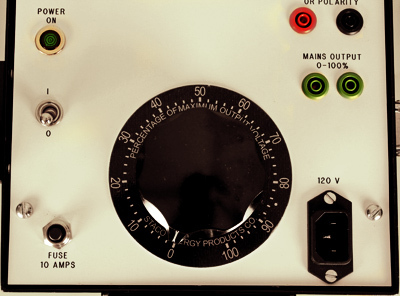 The tester delivers up to 1000 Volts at 60 Hertz, with a maximum current of 1.00 Amp (intermittent). If the 1.00 Amp capability is enough amplitude to saturate the CT under test, the tester can also be used to degauss the CT from a previous saturation abnormality. Some users employ forced air cooling on the tester’s components, thereby allowing it to continuously deliver a 0.5 Amp output. On the face of the unit are banana connector terminals for attaching your multi-meters. 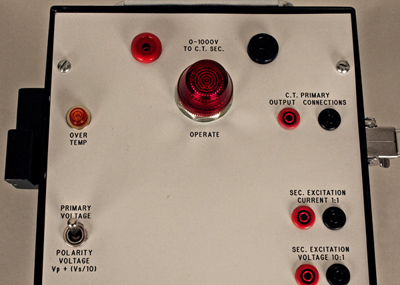 This allows you to read excitation current, as well as 1/10th of the excitation voltage. The CT tester supports safe testing protocols by isolating the 1,000 Volt supply from both the current and voltage readings. Osborne’s renowned quality electromagnetic components and craftsmanship are featured throughout the unit. 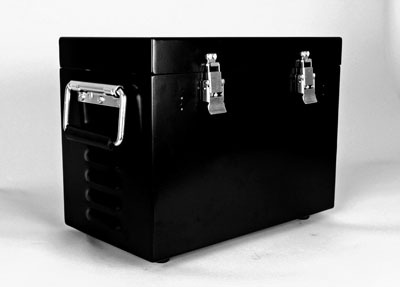 It is designed and hand wired for long life in demanding environments. The design is meant for straight forward operation in the field – skilled technicians will quickly master the tester’s functions. The simple CT Tester interface allows you to focus your attention on safely collecting accurate measurements. This highly portable tester uses a NEMA-5-15P/C13 cord and plug. It will operate from any 120 Volt, 60 Hertz, 15 Amp UL branch circuit.